When I first time read about Dishonored with news titles like ”What are publishers Bethesda coming up with next?”, I wasn’t too interested into the game. It immediately reminded me of Bethesda published and funded games, which another studio developed, like WET and Rogue Warrior – the ones not too highly rated. Besides, the more interesting thing to me than who is the publisher (Bethesda), is who are the actual developers and creators of the game. So I decided to dig bit deeper just to see what game company is actually making this newest title that Bethesda is about to publish. 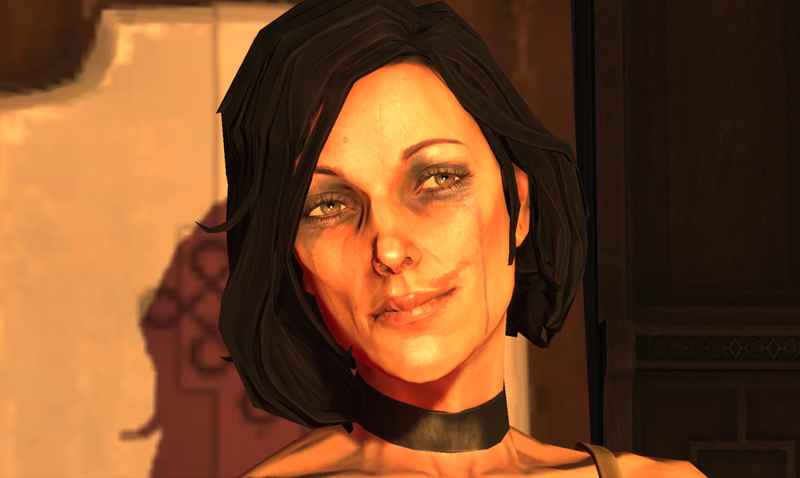 What is Dishonored you ask? It's shortly first person sci-fi / steampunk shooter combining stealth elements - being released for PC, Xbox360 and Playstation 3 by Bethesda, developed by Arkane Studios. The game's release date is still TBA (To Be Announced), but should come out this year. According to Amazon.com it's to be out December 31th, 2012. I ended up finding out that the game is being made by French developer Arkane Studios. Moderately interesting thing actually, because here are bunch of guys who started their company at 1999, and seem to have had terrible luck with games ever after. Arkane Studios created quite well known title Arx Fatalis, which honed the old school cRPG’s, especially dungeon crawlers. The game was decently well received. Next off they were involved in single player development of Dark Messiah Of Might & Magic, another decently received game. Then the bad streak begun. 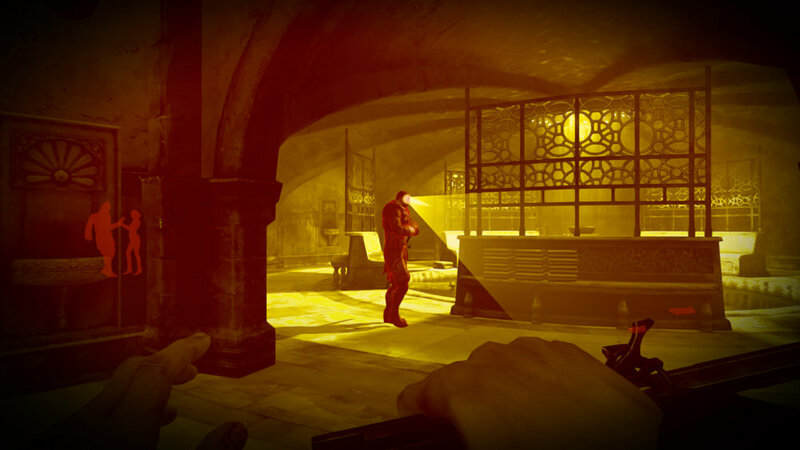 They were up to make first-person shooter The Crossing, and working in conjuration with Valve Software to developd a game for Half-Life franchise called “Return To Ravenholm” – both projects were cancelled. After this Arkane Studios was acquired by Zenimax in 2010, one of the companies working as part of Bethesda Softworks. 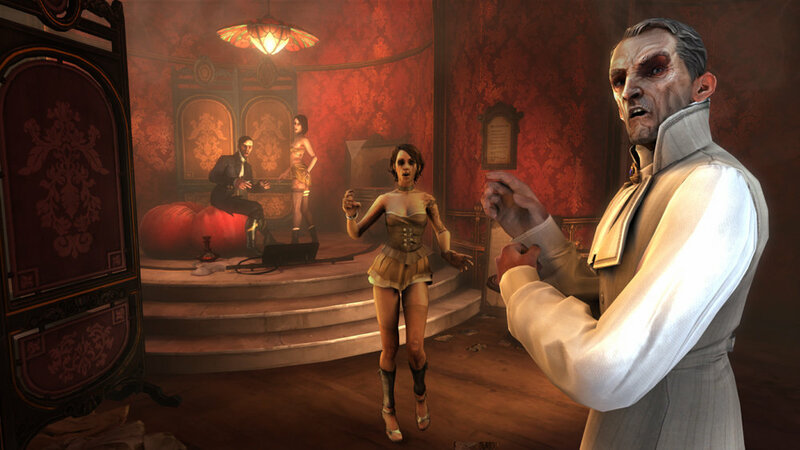 The same year Arkane also participated in Bioshock 2 development in “design, animation, and art” departments. So now these guys finally have a chance to prove themselves under major publisher. Question is, are they up for it? 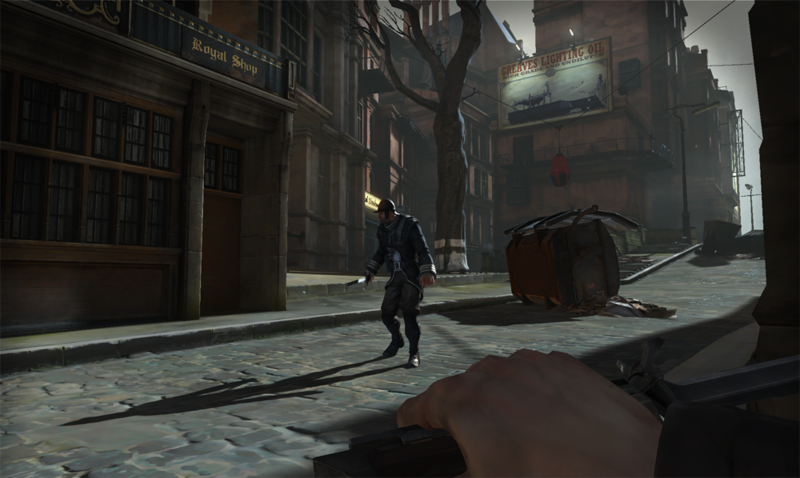 In Dishonored you play sort of a supernatural assassin, a man named Corvo (did I get it right? ), a royal protector of the Empress. 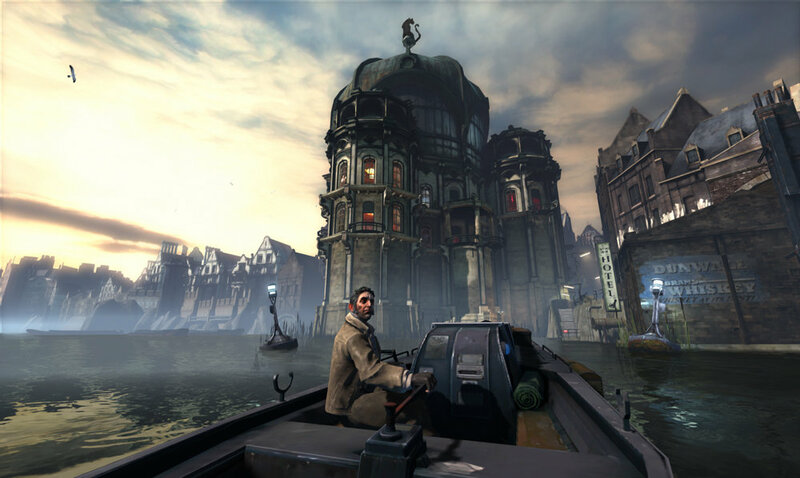 The game world setting takes place in fictional city called Dunnwall, inspired by 1600s London and turned into a “steampunk” version of the city, brough into life by original Half Life 2 artist Viktor Antonov. At the beginning of the story you are falsely accused of her murder. The rest of the game you will spend clearing your name, making things right and taking a revenge for those who set you up. You’ll be eliminating certain high profile targets throughout the city of Dunnwall by several possible ways. Dishonored’s gameplay system combines combat, stealth, and usage of your special powers – but you can put emphasis on either of those to complete missions by mainly stealthing only for example. The gameplay and story takes it’s pace with mission by mission style, whereas you have to complete main goal of one mission to be able to move on to the next one. Between the missions you’ll return to the “homebase”, where you can restock and refill. It’s not quite certain, but this might mean that you can buy equipment and items, perhaps new powers too? Though the game moves on by completing single missions, every each mission is said to be it’s own “sandbox”, that has quite large gameplay area to explore, and you can figure out several path to move to get to your target, and several ways to take him/her out. The developers say that their emphasis is to make every mission area freely explorable and geometrically varying, making player to think possibilities of completing the mission. The levels have lots of vertical difference within themselves, and contain anything from swimming in waterways to climbing to high Clock Tower. Arkane Studios say that they want to make discovering places you never though of reaching at first rewarding experience. As an example for one of the missions, Corvo is set to take out two brothers inside a ballroom located in Golden Cat Ballroom. It’s a burlesque large house inhabited by the rich people Dunnwall. The place is heavily guarded and has a lot of prostitutes there working for the rich, who may easily get alarmed. You might try all-out combat, but then again perhaps possessing a rat and taking control of the creature might give you a better way to enter the house through a rathole. Or perhaps you’d prefer using teleportation powers (“Blink”) and teleport yourself to a high tower for sniping position with a crossbow, with a challenge to get back down alive. Then again, perhaps you just want to stealth in old fashioned way in the shadows. One of the main aspects of Dishonored are your special powers. This game breaks realism by playing supernatural assassin, who can for example stop time (Bloggers note: this has been used too much imo), teleport yourself physically around short ranges with power named “Blink”, teleport yourself into another character or animal and possess him/her, you can even possess creatures and summon them. How about doing a little trick for guards and summoning dozen of man eating rats to finish the guards off, or freezing up time and blowing them into dust with a “Shockwave” power? 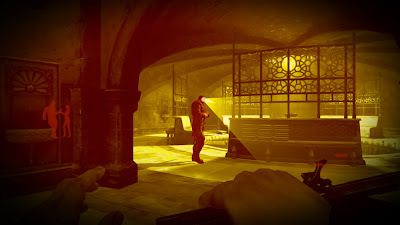 One of the powers could let you see through walls or see in the dark ("Dark Vision"), while with another you could also jump down from a tower to a certain death, but user your supernatural powers in middle of air to physically move into guards body and take possession of him, then walk away unnoticed within his body. Sounds a bit strange? Well if not counting the ever-used stop-time power, these already revealed powers sound at least moderately interesting, and might cause hilarious moments within the game. If Arkane Studios implement these powers well into the game keeping level design in mind, gameplay can be quite tactical even. Another major factor is stealth, where sneaking in shadows plays big part. Moving undiscovered may be very rewarding experience, if you succeed to assassinate your target without anyone noticing. 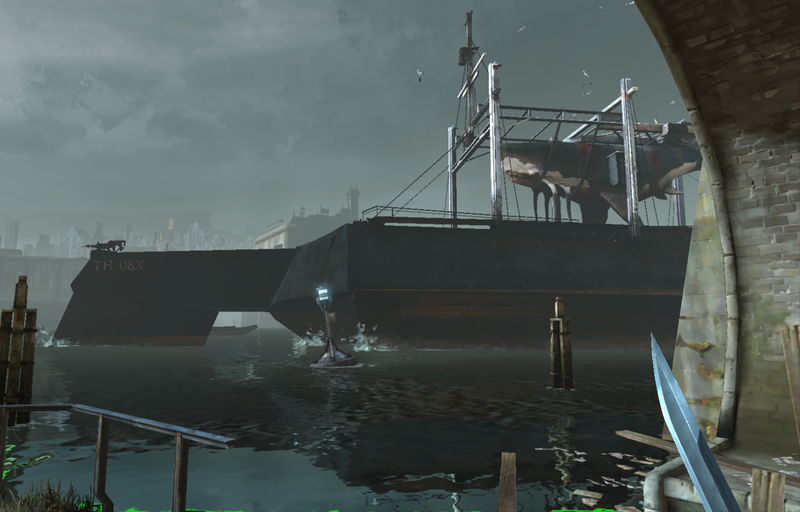 Sneaking also relies a lot to the quality of Arkane Studios level design. So we’ll see about that. In addition your character is able to lean around corners to peek and see what relies ahead. If you face a closed door, you may try to peek through “keyhole”, or try to listen what the possible people there are talking. Arkane Studios said that they have put quite much emphasis on “eavesdropping”, whereas listening the player characters is important part of the game, and hearing certain conversation may open up or change your mission goals. Basically you could just go out and murder everyone on the mission map, or you could go out for a full time stealth - up to you, says the developer. Combat was not much explained yet. But what we know is that the game is based on steampunk 1600s city that does include guns (at least for player characters), bows, and bladed weapons. More stealthy options to knock someone out should be also in, or throwing someone off the balcony. You can also use your powers as a weapon, although not even close to all of them are revealed. Such as the summon rats incident or setting player characters on fire, or perhaps placing traps around while you have used “stop time” power. The game has no good/evil morality system, but has “a Chaos” system instead, which keeps track who you kill and how many you kill. Depending of those elements, you may face varying enemies and characters later on in the game as you make progression with the story. Perhaps the most interesting thing will be how well sandbox styled large mission levels are designed, and how well different ways of playing such as stealth, combat and using powers are implemented, and are they in right balance? For example, is the teleportation power “Blink” overpowered in comparison if you reached the destination with physically stealthing through a certain area. Since this game overall seems modern game with few interesting ideas, I'm interested how is the general "pace" in this game? I hope they don't make it too hasty all the time, because in my opinion sneaking and careful tactical planning of your route requires bit slower pace for time to think and move carefully - and it also increases tension. This game intrigues me. Lately, I have been playing open ended RPG sandbox games like Skyrim and Mass Effect. I will check out this title.